Product prices and availability are accurate as of 2019-04-23 22:10:33 UTC and are subject to change. Any price and availability information displayed on http://www.amazon.com/ at the time of purchase will apply to the purchase of this product. 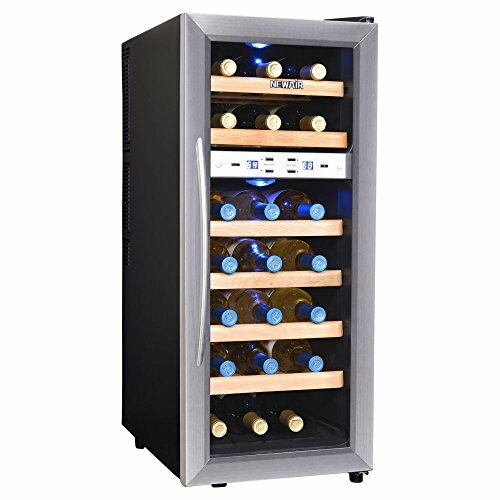 The black and stainless steel design of the NewAir AW-211ED Thermoelectric Wine Cooler creates instant appeal while the six wood shelves add an unexpected twist. 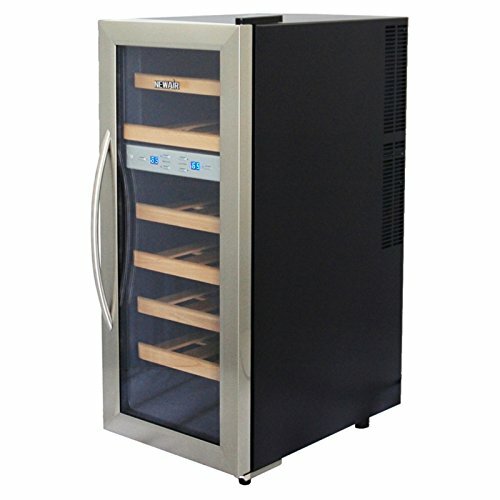 Ideal for a kitchen, dining room, or wine cellar, this wine cooler is outfitted with two separate cooling compartments. 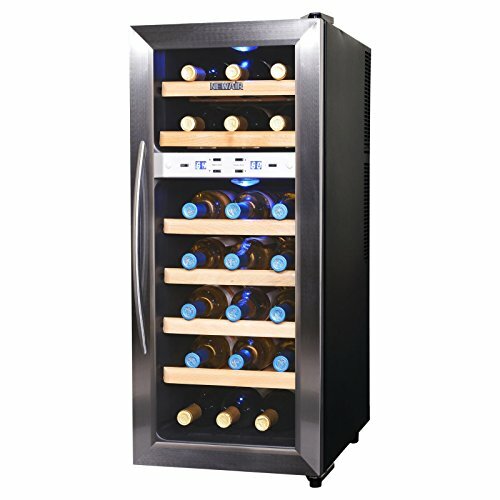 With this feature, you can store up to 21 bottles of red and white wine and know that each type is being held at the proper temperature. 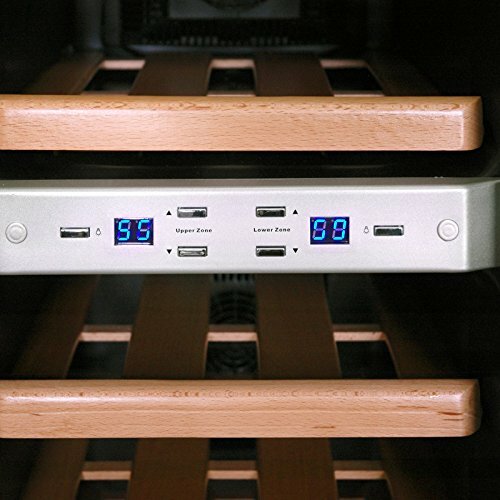 Both compartments feature interior LED lighting and digital temperature controls. 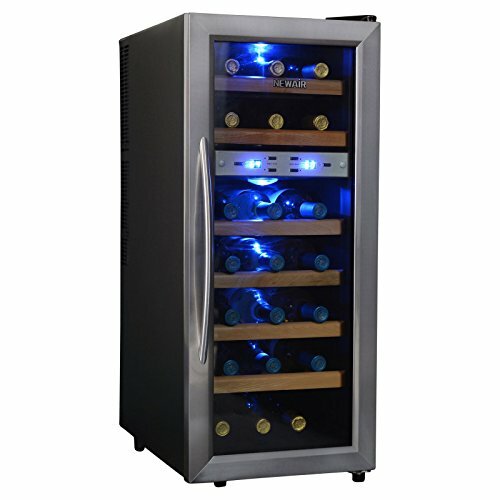 Its thermoelectric cooling system makes it a practical, energy-efficient option for wine lovers. Efficiently holds up to 21 wine bottles. Black cabinet with stainless steel trimmed door. 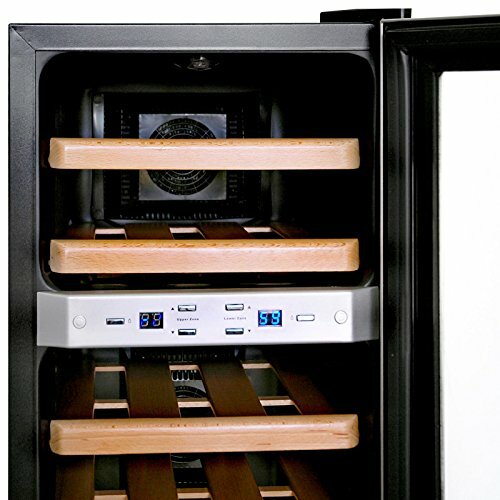 Features an energy-efficient thermoelectric cooling system. 6 wood shelves, temperature controls, and interior LED light. Dimensions: 19.88W x 13.5D x 32.38H inches.